Univerzální váha De-luxe pro synchronizaci karburátorů + 2 adaptéry. Měření provádějte po nasazení redukce a soudku s číselnou řadou, na horní část sání karburátoru. Vodítko pro precizní a velmi přesné nastavení, zejména v potřebném rozmezí 1-3 kg/hod vzduchu, pro volnoběžné otáčky motoru. Synchronizer professional with 2 adapters (for down-draft specifications). Carburetor synchronizer, side-mounted carburetors on the engine should be synchronized. 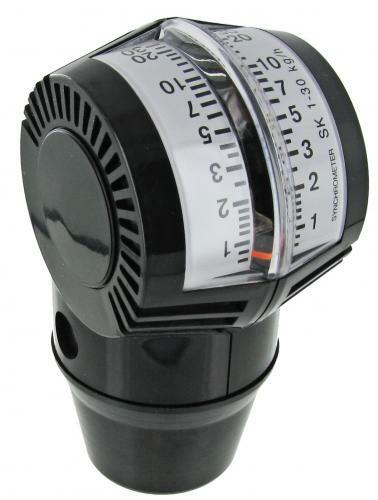 This means that the adjustment of the carburetors must be exactly the same, both left and right for this you need a synchronizer , many think it to be adjusted this by ear but a perfect set-up is not possible despite the many experience While turning on the carburetor and the vacuum that is created is measured by both left and right should be equal. If this is not the case, you should adjust the carburetors that both carburetors out to the same value. 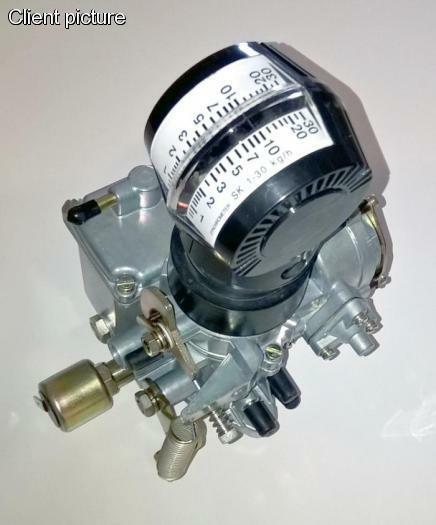 There are two synchronisers available a universal model which is suitable for both downdraft and cross-flow carburetors (our air cooled engines use only downdraft carburetors) and only use carburetors equipped with a flat top. In addition to this universal model, there is also a professional version available, this is for downdraft carburetors and is placed instead on the carburetor into the carburetor. You press it airtight in the carburetor adjustment a lot easier and faster than the universal model. 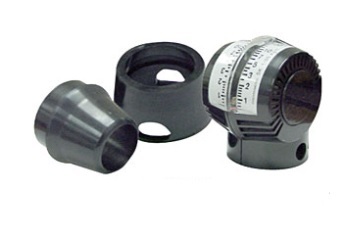 If your carburetor is equipped with protruding parts such as studs for the installation of the air filter, the universal model can not be without a piece of flexible tubing to bridge between The professional synchronizer has a limited possibility, the rubber fitting piece is inserted into the carburetor is 3 cm deep but this is partly dependent on the depth needed to close the opportunity that you should work here too with an intermediate piece, for example in the form of a piece of tubing. works faster, clearer and better as you with two synchronisers works but this is not required. Both versions are each supplied universal for fall and cross-flow carburetors # 7033 # 7034-11 professional downdraft carburetors.